Do you need an easy and efficient way to analyse large data sets of employees’ information? Do you want to combine internal and external databases to get better insights into the available workforce? Do you want to track your workforce performance with simple and user-friendly reporting application? 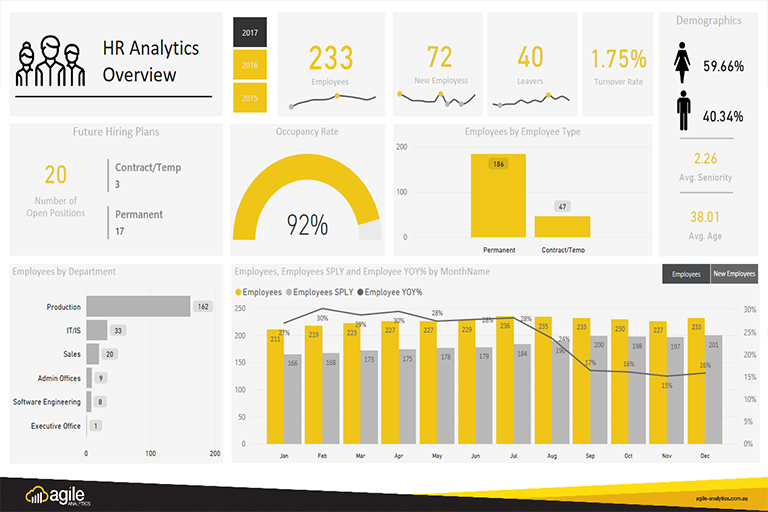 Do you want to know how to collaboratively analyse your figures and share HR reports? You can build your own HR dashboards, or you can create a custom ad-hoc report for specific questions. This can give you real-time visibility into your data allowing you to generate greater insight into your HR key performance indicators (KPIs). 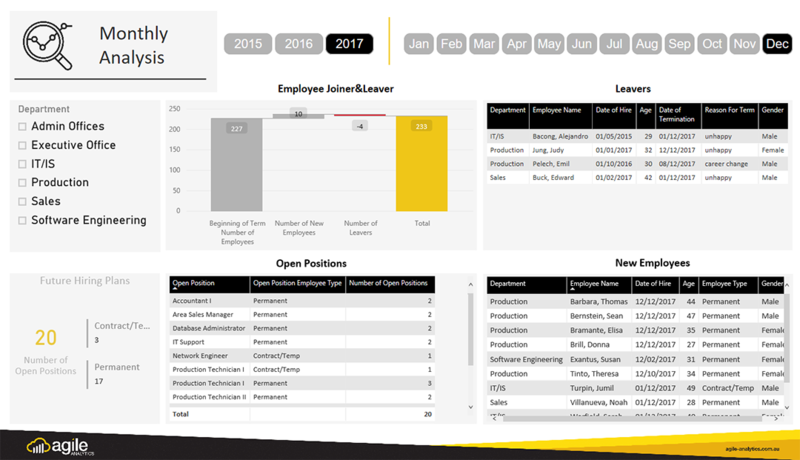 You can also build dashboards to monitor staff turnover, performance, or to measure the efficiency of trainings. 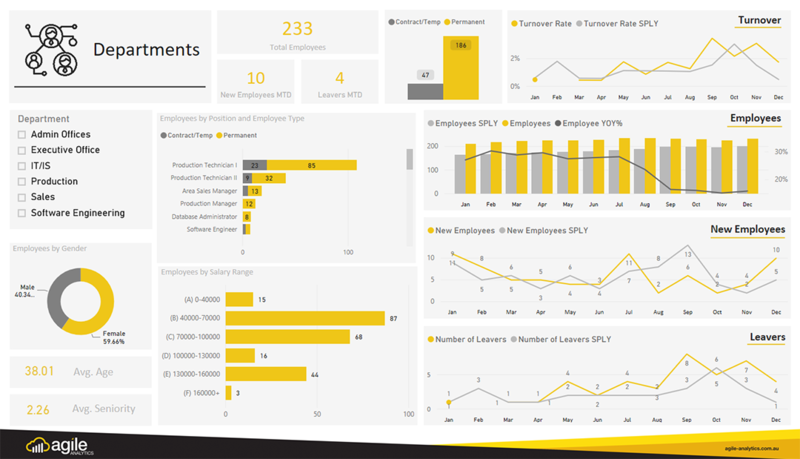 These dashboards are easy to adopt and use by HR professionals with no IT background. 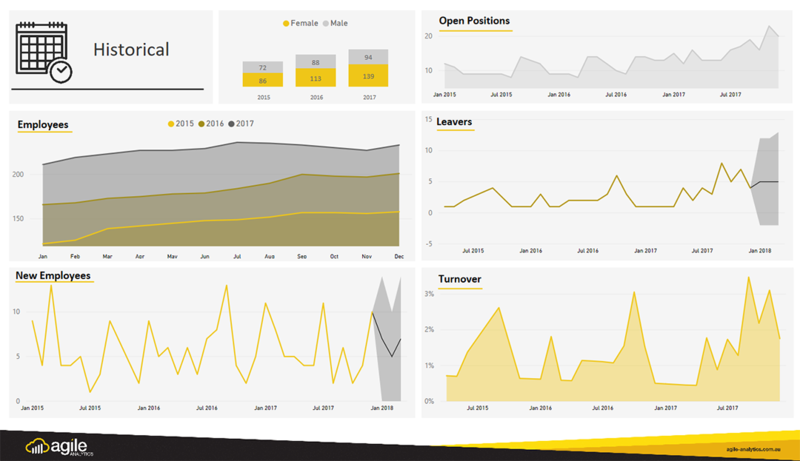 Turnover dashboards: Annualised voluntary turnover rate, average retirement age and percentage of new hire retention.